Happy Houseplant is a member of a new generation of plant feeds. Part of the Empathy range it is about making a choice to garden with minimal use of chemicals, whilst maximising plant growth and health. 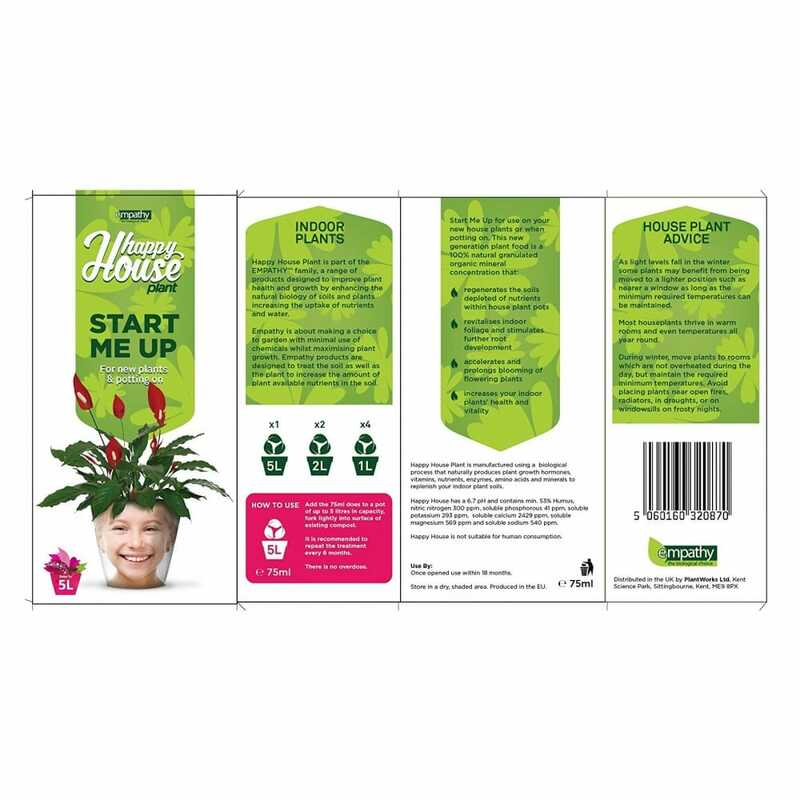 It is manufactured using a biological process that naturally produces plant growth hormones, vitamins, nutrients, enzymes, amino acids and minerals to replenish your indoor plants soil. 75ml is enough for 4 x 1 litre plants or 1 x 5 litre.